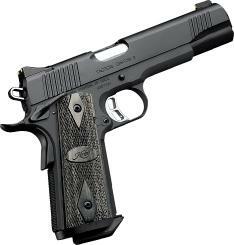 From a traditional government size Kimber 1911 or the Kimber Ultra Carry, to their not so traditional Kimber Micro 9 or butter smooth Kimber K6s, Kimber firearms have you covered from the Kimber Micro 380 to the 10mm Kimber Custom II. 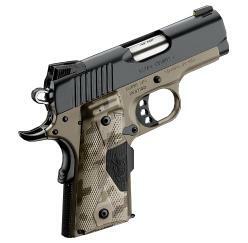 Take their quality with you in the field during your hunt with their extensive line of Kimber Rifles and you're sure to be confident in your firearm. The Classic Pistol Project had one goal - to create the finest production 1911 of all time. 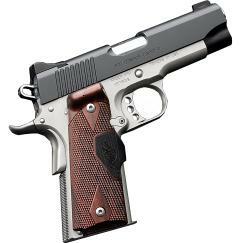 Kimber pistols would have the same quality, dependability and accuracy of those hand-built by custom pistolsmiths, but would sell for a price similar to a standard Colt or Springfield. From forgings to pins and screws; Kimber manufactures, finishes and assembles in America. 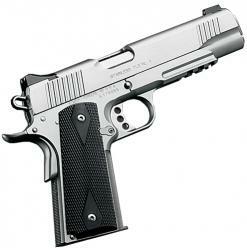 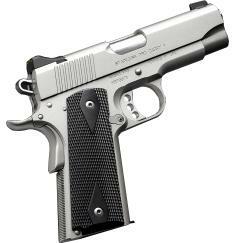 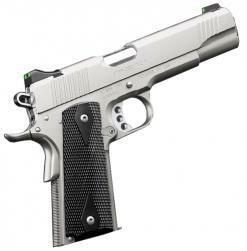 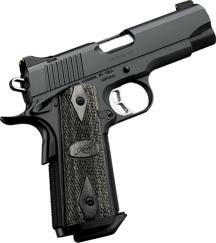 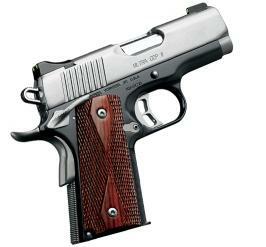 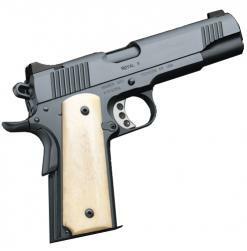 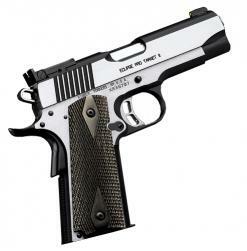 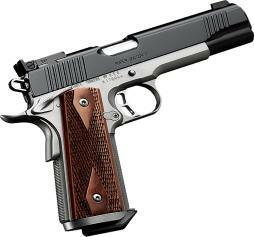 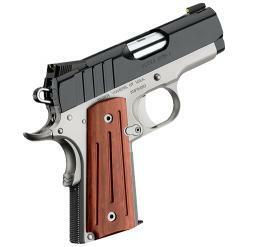 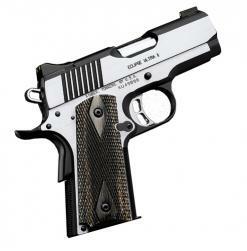 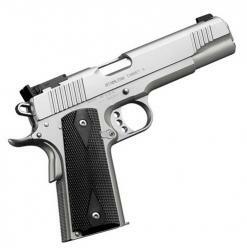 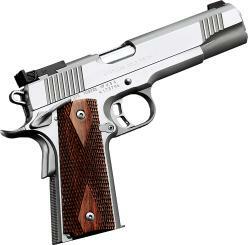 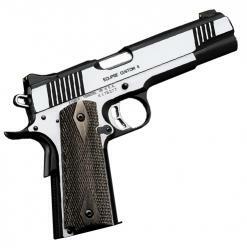 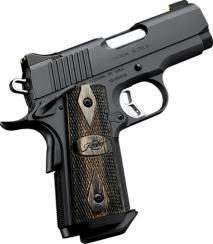 Today Kimber Classic Pistols are regarded by competition shooters and gun writers as the best production 1911 available. 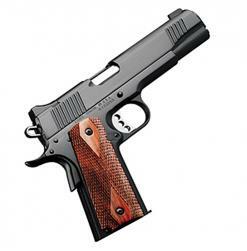 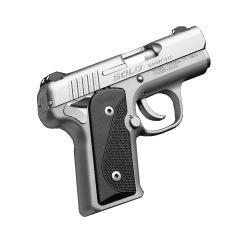 Every other manufacturer is trying to catch up to Kimber or abandoning the market. 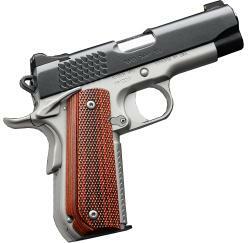 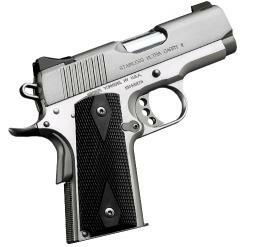 Custom pistolsmiths now use Kimber parts as the platform for guns that cost several thousand dollars. 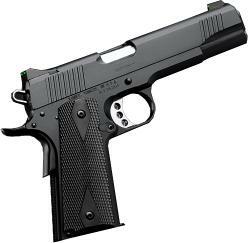 It starts with parts. 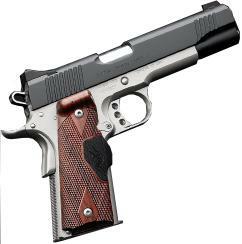 Early on the Kimber design team realized three parts determine the quality of a 1911; the frame, slide and barrel. 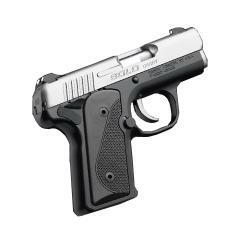 Machining them to closer tolerances and with greater part-to-part consistency than had been done before would ensure success. 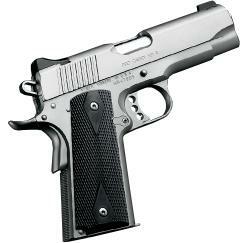 Ultra-tight tolerances would also eliminate the hand fitting required to make other brands accurate and dependable. 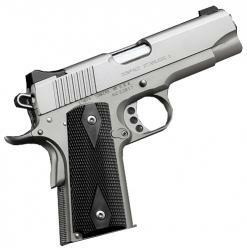 Critical dimensions within the frame, slide, and barrel were analyzed and identified to be over one hundred in total. Kimber engineers developed a gauging system that inspected each dimension during manufacturing. 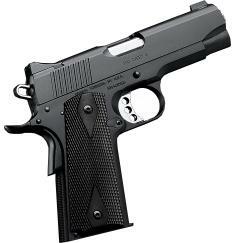 Over $500,000 was invested in gauges, including a true position gauge for measuring frame holes. 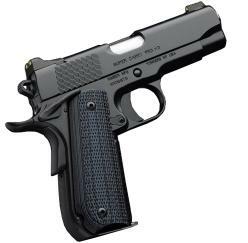 These holes must be in exactly the right position as all other dimensions are completely dependent on them. 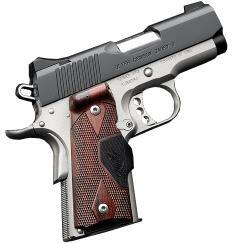 For more information, please visit the Kimber Pistols Homepage.